September 14, 2018, in Nashville, Education Commissioner Candice McQueen announced the 52 principals across the state that will serve in the inaugural class of the Tennessee Rural Principals Network, one part of Gov. Bill Haslam’s Transforming School Leadership Initiative. Three GCS Principals were selected: Jack Evans of Greeneville Middle School, Patrick Fraley of Greeneville High School, and Sheila Newland of Highland Elementary School. Principals in rural schools, such as the schools of Greeneville City, are often unable to take advantage of leadership development due to the cost of registration and travel and have few networking opportunities to learn from other school leaders. This initiative is a comprehensive approach to improve the preparation, retention, and development of Tennessee’s principals. “I am very excited about being a part of the Rural Principal’s Network. It will be a great opportunity to explore solutions with other principals in similar settings regarding the challenges we face in rural education, ultimately allowing me to better serve the students of Greeneville Middle School,” said Principal Evans of Greeneville Middle School. 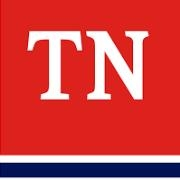 For more information on the network from the Tennessee Department of Education, click link.